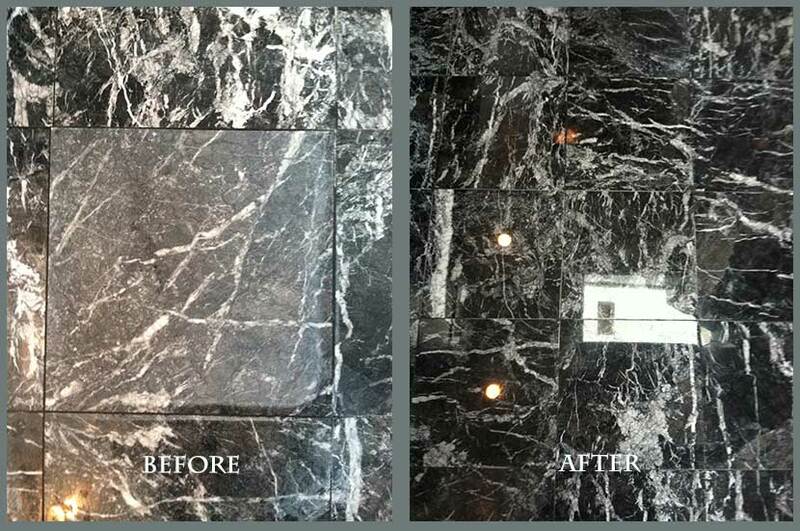 A Carlsbad homeowner called us about his brand new black marble shower, because the installer left scratches in the stone. Having just paid for a new shower installation, the last thing this homeowner wanted to do was spend more money than necessary to have the scratches repaired. We assured him that we would be able to repair the scratches without having to refinish the entire shower. In the BEFORE image, you can see a dull-looking white spot in the center of the stone, evidence of where we honed the marble to remove the scratches. 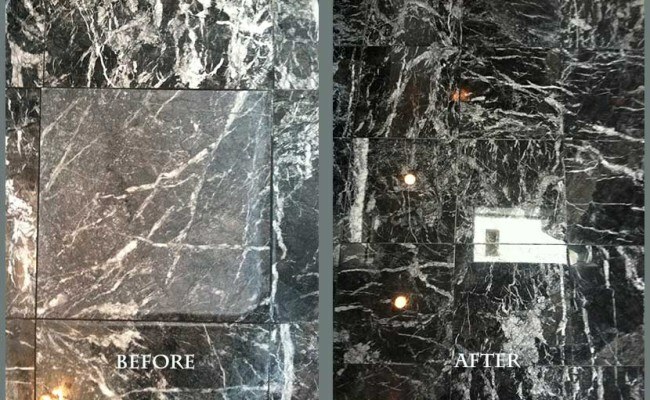 Marble honing removes a very thin layer of the stone’s surface to reveal the brand new undamaged stone underneath. Once we completely removed the damage, we polished over the honed area, being careful to perfectly match the new polished finish with the existing polished finish. You can see the consistency in the AFTER image. The homeowner was pleased not only that have a beautiful, uniformly polished appearance in the shower, with not even a hint of evidence that it had been damaged and repaired, but also to pay a fair price for the job.